MANILA, Philippines — Former Manila mayor Alfredo Lim, who is seeking to reclaim his post, has lauded President Duterte for launching the Manila Bay rehabilitation program and doing what initially seemed impossible – restoring the shoreline along Roxas Boulevard into a clean promenade area. In a statement sent to The STAR, Lim said he recently went jogging in Baywalk and saw for himself the result of the cleanup done by 5,000 volunteers last Jan. 27 and continued efforts by the government and private sector to maintain the cleanliness of the shoreline. “Not only did President Duterte succeed in making the Manila Bay clean again. 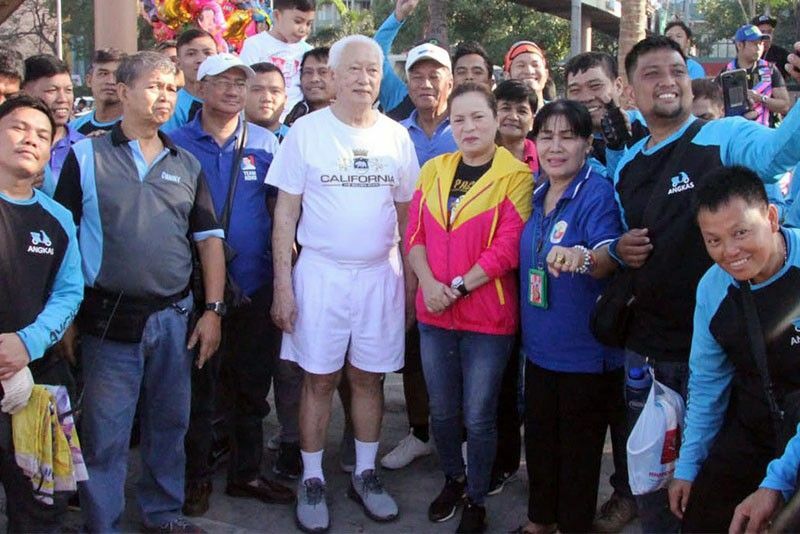 He was also able to stir among the public volunteerism and awareness about how important it is to keep our surroundings and waters clean and safe,” said Lim, the mayoral bet of Duterte’s Partido Demokratiko Pilipino-Lakas ng Bayan. Lim said that during his previous terms as mayor, he ensured that there was a weekly cleanup of Manila Bay and that it was kept free of all kinds of obstruction.